How do I navigate Shyft? The Help button will bring you to the Help Center page. The Groups button will open Group page, where you can access all assigned groups. The Tutorials button has short videos for each feature in Shyft. Have your client use Network button to test their Internet connection. The facial expression of Shyft icon will be the evaluation of user's connection (happy = good, sad = poor network). SurveyBot’s API and Webhooks allow you to craft any automation that makes sense for you and your workflow. API is an acronym for Application Program Interface - a long fancy word that actually means that we provide you ways to interact with your data and our functionality from whatever software you choose to implement. You could interact with your appointments as they’re scheduled by automatically creating surveys on Shyft once your CRM has received your customer’s information. You could interact with the information kept about the surveys you and your team have performed on our platform by sending a request to Shyft from your software - the possibilities are only limited by your requirements. If the information is kept in Shytf, we provide you with a way to retrieve it. 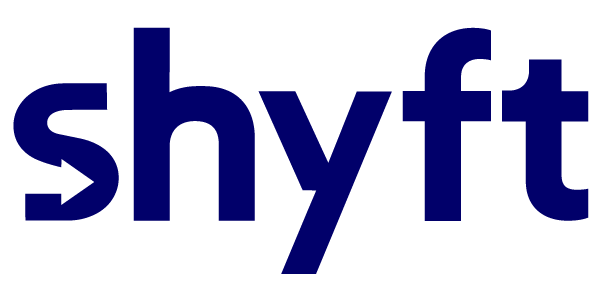 Each request to Shyft via the API can be referred to as a call. If an API request is a call you’re making to Shyft for information, a webhook is the opposite - a call we make to your chosen endpoint to provide you with events as they occur. For example, a customer uploads media to a survey, or another member of your team updates your customer’s information in a survey. If you would like to further explore the possibilities available to you, please reach out to our support team using Chat button in the bottom right-hand corner or your Shyft screen.